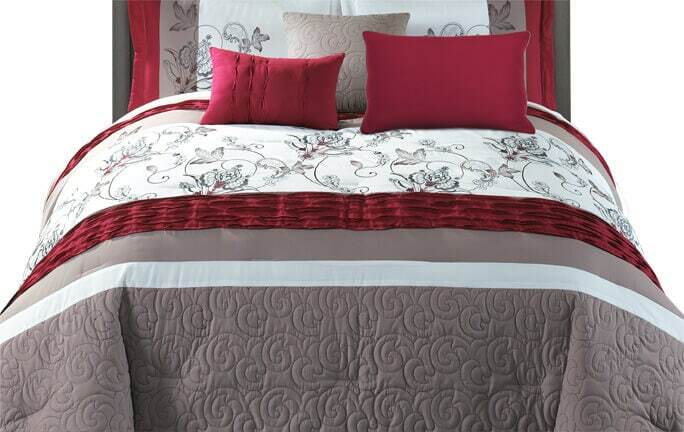 Relax and unwind with the help of my Donovan 7 Piece Comforter Set! In soothing grays and coppers, you get the look of a woven tweed without sacrificing soft and lustrous fabric. Paired with a metallic copper accent pillow it's a great fit for any style. Get the duvet look without the hassle- how could you go wrong?